I enjoyed Christmas with all its lights and indulgence and always hate that concept of getting back to normality. Normality is over rated it is what many of us strive to escape. It can be a particular problem for children. I don’t know why but children seem to be the most conservative of animals and don’t like anything that is abnormal. Unfortunately this applies to other children and anyone who doesn’t conform to a standard of normality that someone made up can be singled out for poor treatment, teasing and ultimately bullying. This could be an odd name, or haircut, coming from a different cultural background not having the right clothes, being not as bright as your colleagues or being conspicuously brighter than them. How do we deal within this? Help those who do not conform. Anyone who is worried about fitting in should be told of the option of standing out. Also during January there seems to have been a lot of colds and infections running round. Our bodies eventually need some downtime and the Christmas break is sometimes a sub conscious nod to the body to give in for a bit. Maybe you, or someone you know gets sick on their holidays. That’s such a shame, that hard earned time off and some of it is ruined by illness. It happened to me this January. I went from snuffles to rib cracking coughing fits and it seems to be lasting weeks. I thought I was fairly fit and that my immune system was pretty solid, but this one got me. I tried all the folk remedies and the medical, tried sweating it out, exercise, rest, anything anyone suggested. It still got me and will leave when it is ready. It is important to remember that our bodies are with us all the time and that our attention to our health is not something we should be putting off until we have a break to think about it. Things will catch up on us. If you are having a break coming up, try and ease into it and I suggest dosing yourself up with your favourite remedies a good few days before your actual break. Item 1. We have decided to streamline our grading system. As of now there will be two scheduled grading opportunities each year. One of these gradings will be scheduled for a Sunday and one for a Monday roughly six months apart, one summer, one winter. Eligibility for grading will be based on only a few criteria. Have you been studying long enough? Have you been to enough classes? Do you know the techniques appropriate for your level? There will be pre-grading assessments and you will be advised wether or not you should apply to grade. We of course will not advise you to grade if there is a likelihood of failure. In the next newsletter we will publish these dates. Item 2. Equipment. Now we are doing a bit more sparring we are lending out our kit. This is fine but in the interests of hygiene you might want to invest in your own. We can get 20% off RRP for the kit that we advise, and we advise keeping it simple. Gloves, gum shield, shin guards. Head guards are optional, I’ve never been keen on them but many people are. We can also order groin and chest protection. Item 3. Sunday morning classes are going well but there are still some spaces for juniors (including beginners) and a few more for adults. Not a bad way to start the day and a real good justification for a big Sunday lunch. Eight waves School of Martial Arts has always been interested in improving the health of both individuals and the community. 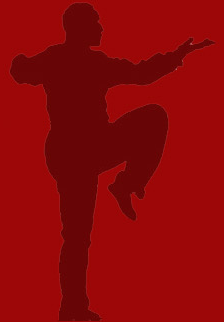 One of the key arts we use to achieve this is Tai Chi Chuan. Though Tai Chi is itself a devastation martial art, many people who study it do so for it’s health benefits alone and we have had a great deal of success with people coming to us with physical, mental and age related health problems. We have contributed to the NHS staff well being programme and have used tai chi for those recovering from drug and alcohol addiction and soon we will be running supported sessions for Torridgeside link specifically for the benefit of those with mental health difficulties. We are very much looking forward to contributing to the health of the community in this way. Though we have always been aware of the benefits of this art for many people I have recently been enriching my study with exploring the benefits of Tai Chi for the elderly with specific reference to Parkinson’s disease and Dementia. You may have heard recently of ballet classes being used for Parkinson’s sufferers and Tai chi offers similar benefits of focused movements, gentle repetition and stimulating the mind. though I believe that it can be of benefit to all ages and levels of fitness. I have competed at international level in Tai Chi with people of all ages who had to be considered athletes, some of whom were also gymnasts. It can be as gentle or as physically demanding as you need. This is our programme of study. Of course we can’t cover all of these in each class so the focus often shifts however all of the above can be taught in classes, seminars or courses. If any of this catches your interest or if you think your organisation would benefit from experiencing any of this please get in touch.